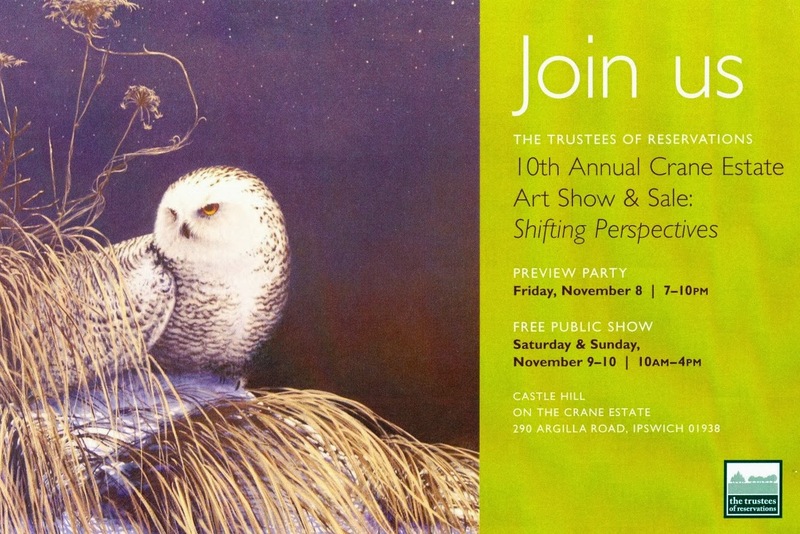 Crane Estate Art Show & Sale is a wonderful art show at the Crane Estate castle. 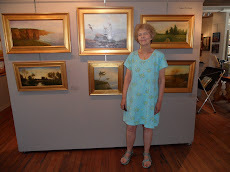 The many paintings, large and small look wonderful in such a beautiful setting. Entry to the show is free on both Saturday November 9th and Sunday November 10th from 10AM-4PM. 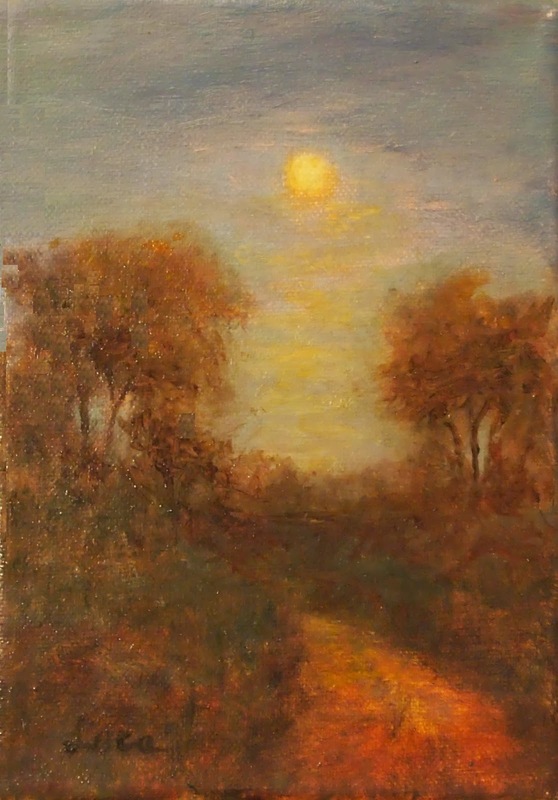 This year I will be entering a nice Fall painting called "Shades of Autumn"
The second large painting is summer green colors with the sun peaking through the clouds giving an enchanting look at the landscape. Trina Schell runs this show every year and does an amazing job, thank you Trina. Of course she works with a committee to decide what will be arranged for the show. 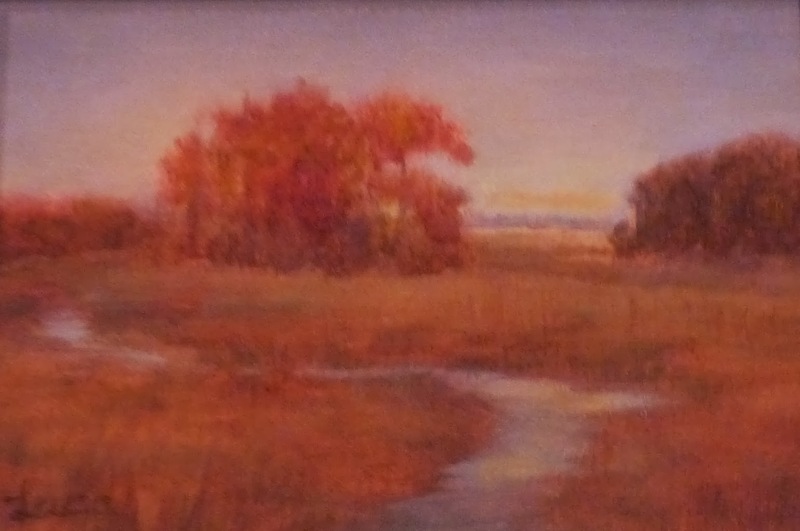 Last year they suggested that artists submit up to 3 small paintings and it was a very successful addition to the show. 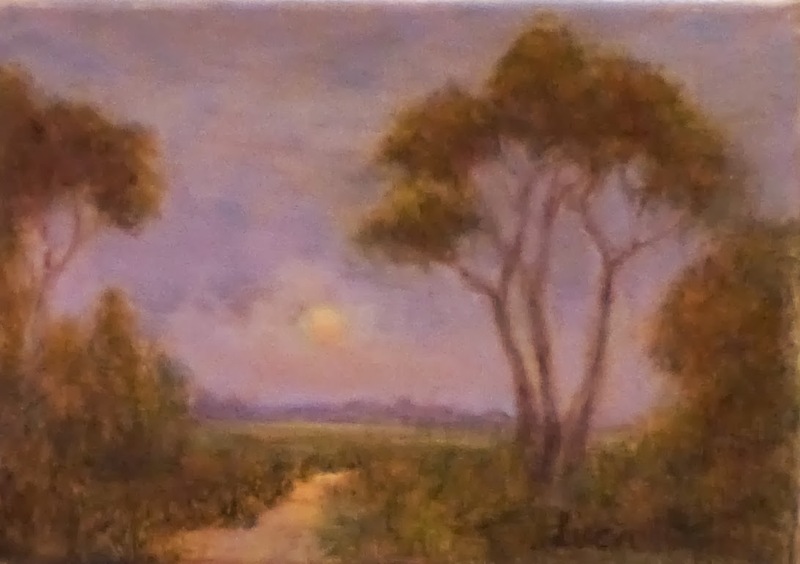 This year I'm including 3 small paintings 5" x 7" and I do hope you like them as I've enjoyed the challenge of working on a large canvas and then switching to a very small one and still trying to capture the mood of the scene and the special natural effects. Marsh scene along Route 1 in Newbury. Enchanting trees arranged for a perfect moonrise. Walking along the path up a gentle hill and viewing the moon above.